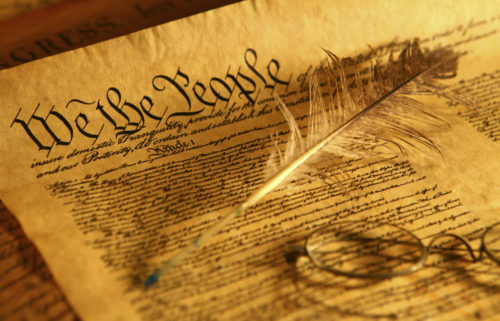 Will Republicans take religious exemptions law to constitutional convention? Republicans already control Congress, the White House and more governors’ offices than they have in nearly a century. But it’s the state legislatures that hold perhaps the greatest promise for lasting change. One, to require a balanced federal budget, is already approaching the level of support that would trigger a convention. Beyond that, a major state-level push is planned during 2017 for a constitutional convention that could also consider amendments to impose term limits on members of Congress and reign in various federal powers. “The possibility of constitutional change is in the air,” said law professor Jeffrey Rosen, president and CEO of the National Constitution Center in Philadelphia, a nonprofit museum that is hosting academic debates and symposiums about the efforts to amend the Constitution. If the supporters of a balanced budget amendment succeed, it would be the first time in the nation’s history that states initiated the process. That scenario has become more likely as a result of the November election. “The overwhelming success of one political party at the state level is something of real constitutional significance,” said Akhil Reed Amar, a constitutional law professor at Yale University. Every state except Vermont has some sort of balanced budget requirement, according to the National Conference of State Legislatures. The U.S. government does not, but not everyone agrees that’s a problem. During recessions, for example, federal government spending can help drive the economy even if it means spending at a deficit.